From Jacque Tripp of Merced, California on 10/25/2018 . From JULIE WULF of Redmond, Washington on 1/16/2018 . We have been ordering from you for years for our safety patrol students and adults. We like this style and they hold up pretty well. From Joseph Gonzalez of Fontana, California on 4/13/2017 . From Chris Halandras of Riverside, California on 9/4/2016 . From Julie Wulf of Redmond, Washington on 1/28/2016 . 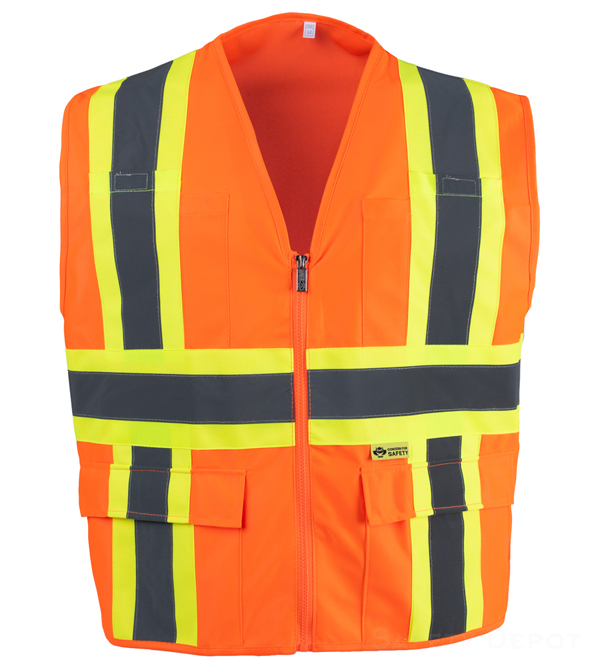 We have used these safety vests for years for our instructional assistants at our school, Norman Rockwell in Redmond. When offered a different choice from KCDA, the ladies still requested this vest. It has pockets in just the right places to hold walkie talkies and notes. From Anonymous of Cheyenne, Wyoming on 12/10/2015 . From JEFFREY WOLFF of FLAGSTAFF, Arizona on 6/8/2015 . Good product; excellent shipping time.